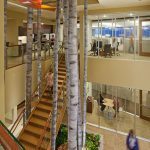 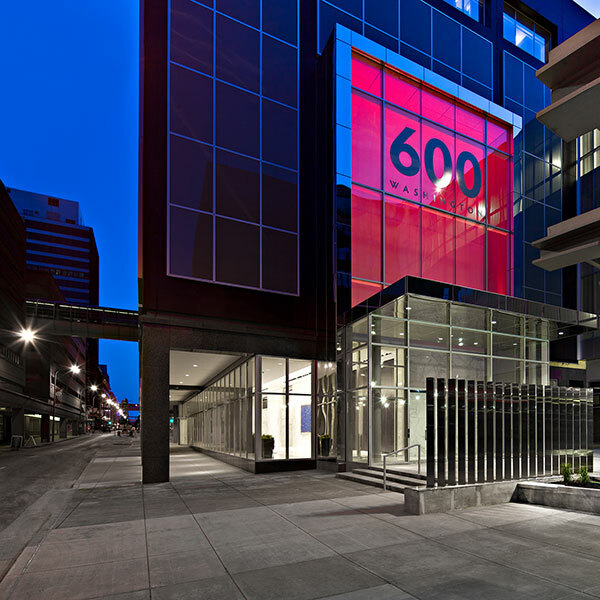 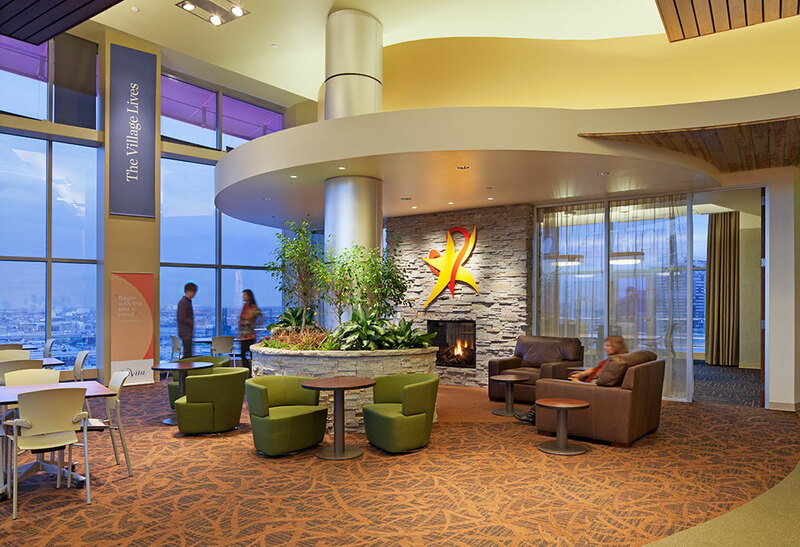 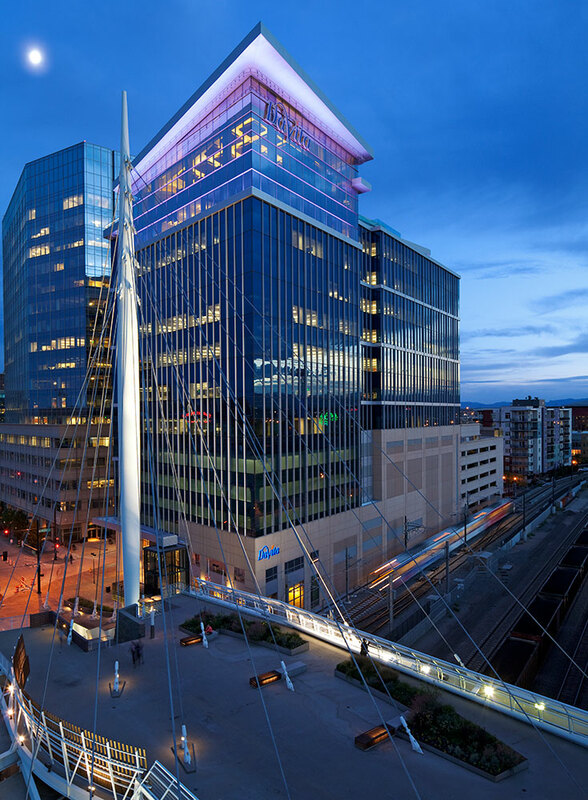 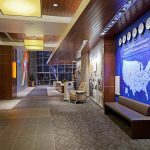 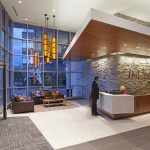 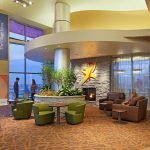 The Denver based world headquarters for this Forture 500 kidney care service provider is a consolidation of the corporation’s previously dispersed management offices. 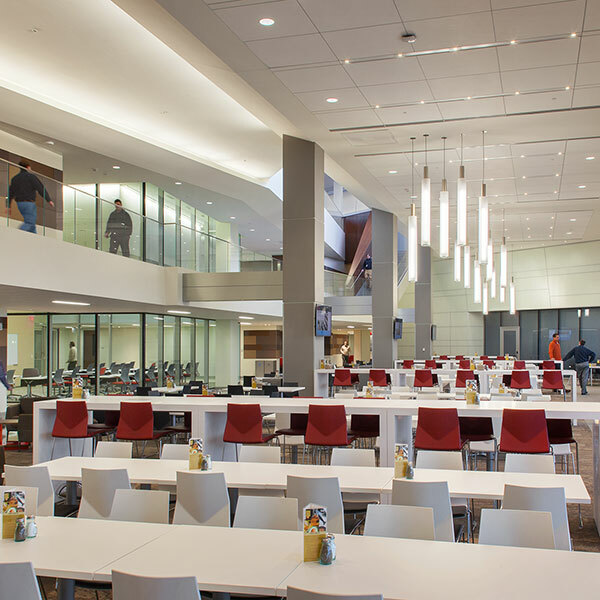 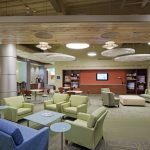 This project was designed to accommodate up to 1,000 employee teammates, with the facility fostering a unique workplace environment. 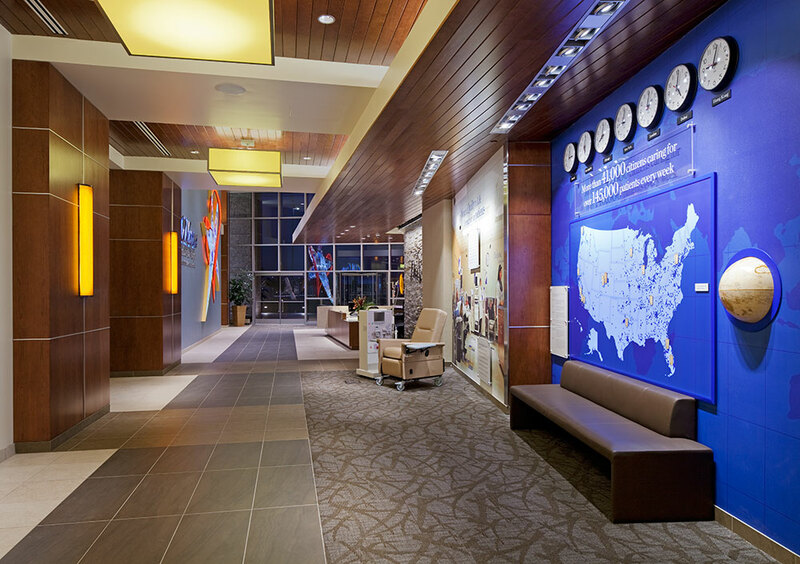 Teammates work in ‘neighborhoods’, and thousands of world-wide employees come annually to the facility for training at ‘DaVita University’. 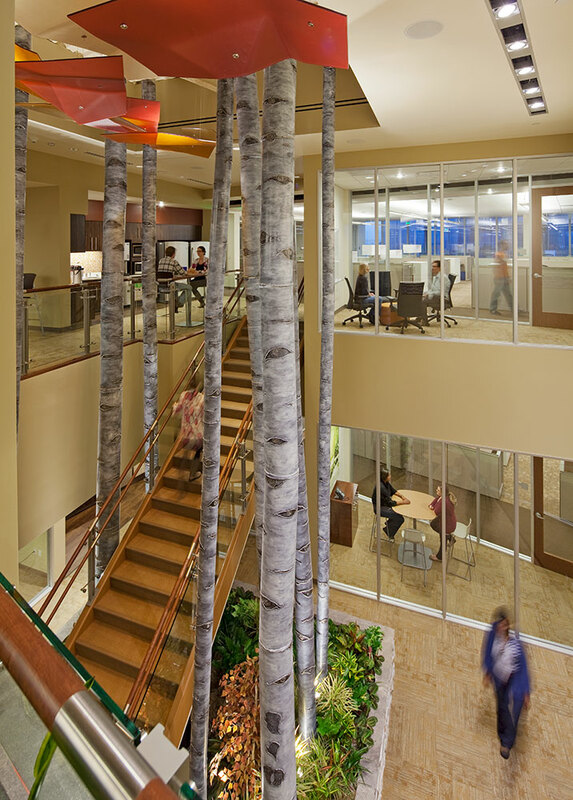 Three two-story interior atria dispersed on several levels provide important visual, physical, and emotion community connections between ‘neighborhoods’ and across the building core while giving access to daylight. 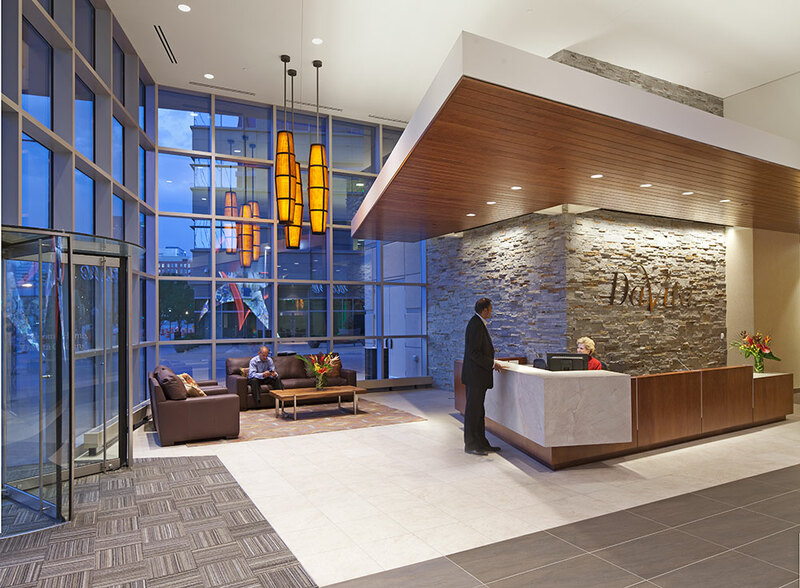 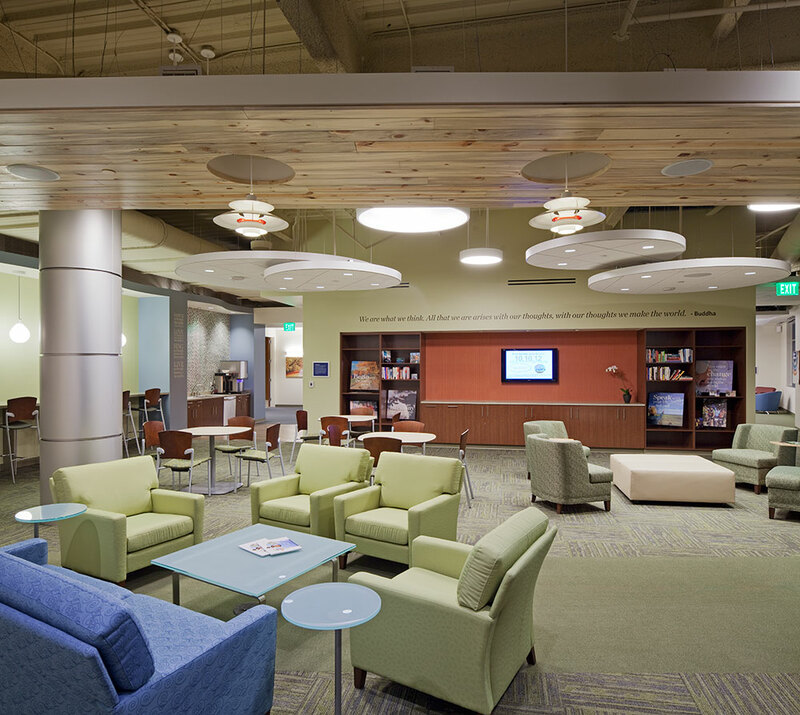 Lighting was critical in visually enhancing these environments and reinforcing corporate culture. 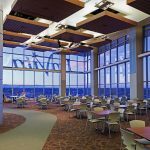 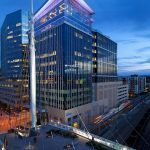 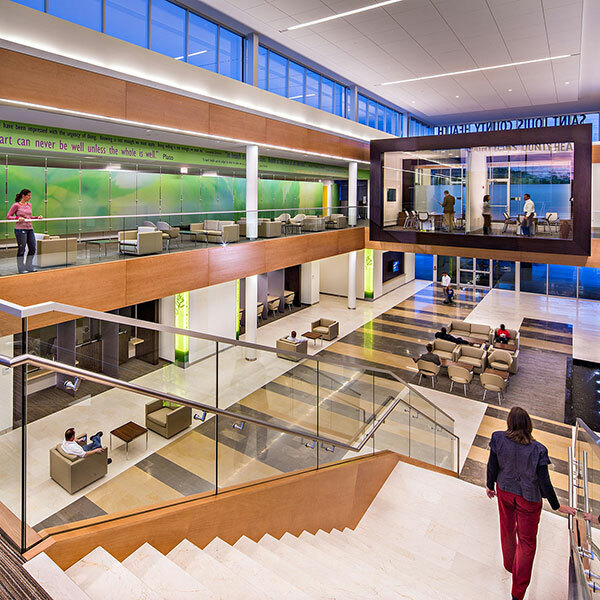 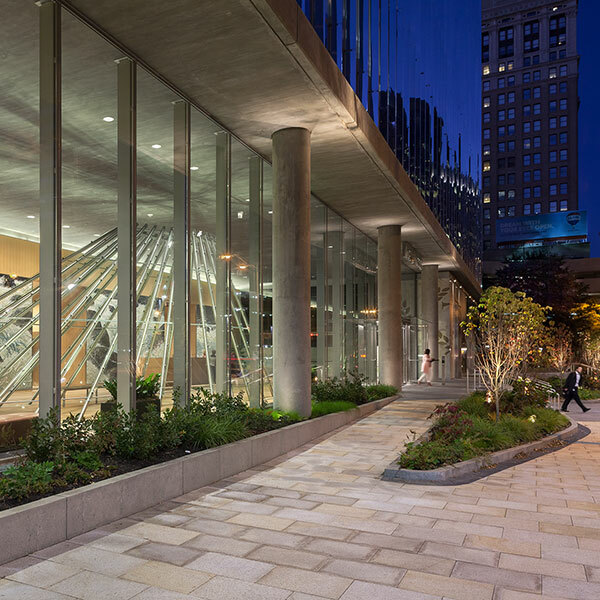 Daylight responsive lighting was incorporated along office perimeters and in other glass-enclosed spaces helping to achieve necessary credits for the building’s LEED Gold Certification. 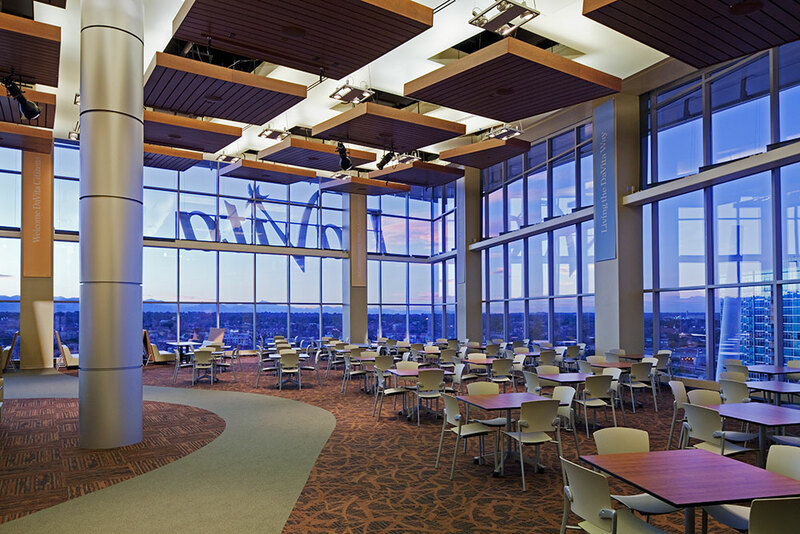 The building’s upper floor cornice is activated by a dynamic, RGB LED wash light system, fully programmable to respond to both seasonal and special events. 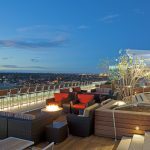 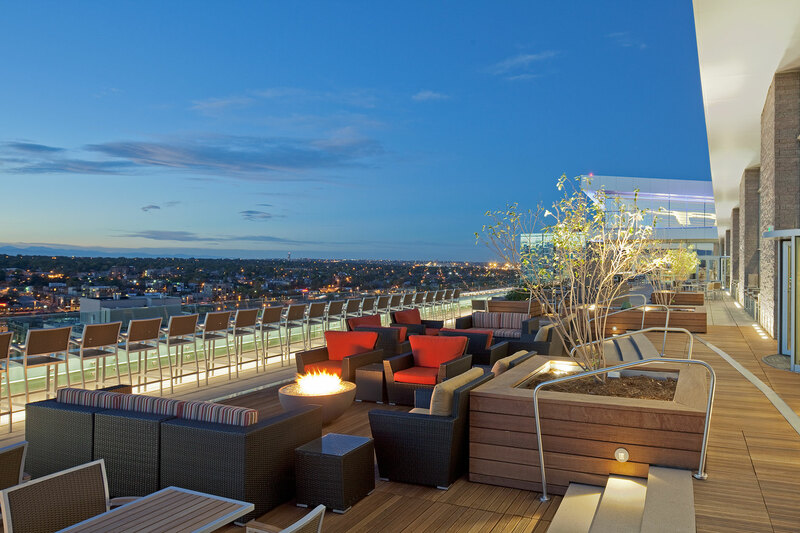 The westward looking rooftop terrace is an inviting nighttime destination, frequented by both teammates and visitors.